Our guide to Jacksonville will help you find the best free wifi hotspots in Jacksonville Florida. Northeastern Florida is remarkably diverse. Tortuous, towering live oaks; plantations; and antebellum-style architecture recollect the Old South. The mossy marshes of Silver Springs and the St. Johns River look as untouched and junglelike today as they did generations ago. Horse farms around Ocala resemble Kentucky's bluegrass country or the hunt clubs of Virginia. St. Augustine is a showcase of early U.S. history, and Jacksonville is a young but sophisticated metropolis. Yet these are all but light diversions from northeastern Florida's primary draw -- absolutely sensational beaches. Hugging the coast are long, slender barrier islands whose entire eastern sides make up a broad band of spectacular sand. Except in the most populated areas, development has been modest, and beaches are lined with funky, appealing little towns. There are tons of great free wifi hotspots in the city of Jacksonville, our city guide will help you find the best free wifi hotspots. You may have a hard time deciding what to do in Jacksonville, but we make your decision easy. 10281 Midtown Pkwy, (904) 646-3062 - The JTB & I 295 Starbucks offers drip brewed coffee, espresso and other drinks and snacks and is also a free WiFi hotspot. 1034 Hendricks Ave, (904) 399-4848 - Chai House Tea Co is a free wifi coffeeshop / cafe located in Jacksonville FL. 1044 Dunn Ave, (904) 696-6184 - The Dunn Ave & Hart Jacksonville Starbucks offers drip brewed coffee, espresso and other drinks and snacks and is also a free WiFi hotspot. 1044 Park St, (904) 329-3374 - Starlite Cafe is a free wifi coffeeshop / cafe located in Jacksonville FL. 10498 Southside Blvd, (904) 777-4314 - BadAss Coffee is a free wifi coffeeshop / cafe located in Jacksonville FL. 10771 Beach Blvd, (904) 338-9049 - Sahara Cafe is a free wifi coffeeshop / cafe located in Jacksonville FL. 11 E Forsyth St, (904) 358-1404 - The Forsyth & Main Starbucks offers drip brewed coffee, espresso and other drinks and snacks and is also a free WiFi hotspot. 119 Bartram Oaks Walk, (904) 230-2625 - The Fruit Cove Rd Julington Creek Starbucks offers free WiFi in addition to coffee, espresso and other hot and cold drinks. 13315 Atlantic Blvd, (904) 220-3731 - The Hodges & Atlantic Starbucks offers drip brewed coffee, espresso and other drinks and snacks and is also a free WiFi hotspot. 14355 Beach Blvd, (904) 821-2112 - Beach Blvd & San Pablo Rd Starbucks now provides customers with free wi-fi in addition to the normal coffee and espresso served up daily. 14560 St Augustine Rd, (904) 268-3120 - Old St. Augustine Rd & I 95 Jacks Starbucks now provides customers with free wi-fi in addition to the normal coffee and espresso served up daily. 1500-1 University Blvd W, (904) 448-0313 - Lakewood Plaza Starbucks now provides customers with free wi-fi in addition to the normal coffee and espresso served up daily. 1650 Margaret St, (904) 381-0055 - Riverside Ave @ Margaret Street Starbucks now provides customers with free wi-fi in addition to the normal coffee and espresso served up daily. 1980 San Marco Blvd, (904) 398-8383 - 1980 San Marco Boulevard Starbucks now provides customers with free wi-fi in addition to the normal coffee and espresso served up daily. 2 Independent Dr, (904) 353-1387 - The Jacksonville Landing Starbucks offers drip brewed coffee, espresso and other drinks and snacks and is also a free WiFi hotspot. 2708 Park St, (904) 381-4242 - Cool Moose Coffee Co. is a free wifi coffeeshop / cafe located in Jacksonville FL. 2771 Monument Rd, (904) 996-3664 - The Monument & McCormick Starbucks offers free WiFi in addition to coffee, espresso and other hot and cold drinks. 3055 Cr 210 W, (904) 230-3099 - CR 210 & Nature Walk Starbucks now provides customers with free wi-fi in addition to the normal coffee and espresso served up daily. 315 W Forsyth St, (904) 355-6750 - Java Junction is a free wifi coffeeshop / cafe located in Jacksonville FL. 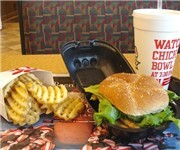 10400 Philips Hwy, (904) 262-7282 - Taco Bell is a free wifi fast food located in Jacksonville FL. 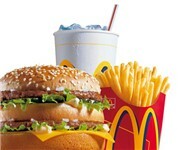 11228 Beach Blvd, (904) 641-6828 - Taco Bell is a free wifi fast food located in Jacksonville FL. 11299 Beach Blvd, (904) 641-6828 - Taco Bell is a free wifi fast food located in Jacksonville FL. 10148 New Berlin Rd, (877) 863-4780 - Holiday Inn Express Jacksonville is a free wifi hotel / motel / resort located in Jacksonville FL. 10551 Deerwood Park Blvd, (904) 996-8900 - Residence Inn Jacksonville Butler Boulevard is a free wifi hotel / motel / resort located in Jacksonville FL. 11262 Old Saint Augustine Rd, (877) 863-4780 - Holiday Inn Express and Suite is a free wifi hotel / motel / resort located in Jacksonville FL. 1170 Airport Rd, (904) 741-4980 - Best Western Jacksonville Airport is a free wifi hotel / motel / resort located in Jacksonville FL. 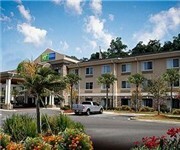 1200 Airport Rd, (904) 421-7000 - Wingate By Wyndham is a free wifi hotel / motel / resort located in Jacksonville FL. 1300 Airport Rd, (904) 741-3500 - Fairfield Inn & Suites Jacksonville Airport is a free wifi hotel / motel / resort located in Jacksonville FL. 1310 Airport Rd, (904) 741-6550 - Residence Inn Jacksonville Airport is a free wifi hotel / motel / resort located in Jacksonville FL. 14402 Old St Augustine Rd, (904) 260-2027 - Courtyard Jacksonville FLagler Center is a free wifi hotel / motel / resort located in Jacksonville FL. 14565 Duval Rd, (904) 741-4184 - Hyatt Place-Jacksonville is a free wifi hotel / motel / resort located in Jacksonville FL. 2040 Mayport Rd, (904) 435-0700 - Holiday Inn Express Hotel & Suites Jacksonville Bch Mayport is a free wifi hotel / motel / resort located in Jacksonville FL. 3199 Hartley Rd, (904) 268-9999 - La Quinta Inn is a free wifi hotel / motel / resort located in Jacksonville FL. 4385 Southside Blvd, (904) 997-6650 - SpringHill Suites Jacksonville is a free wifi hotel / motel / resort located in Jacksonville FL. 12599 Wood Ctr Dr, (904) 723-0494 - Crispers is a fast casual restaurants with an emphasis on health-conscious fare and a menu that consists mainly of salads and sandwiches. 2 Independent Dr, (904) 353-4503 - American Cafe the: Jacksonville Landing is a free wifi restaurant located in Jacksonville FL. 3556 Saint Johns Ave, (904) 387-2060 - Biscottis is a free wifi restaurant located in Jacksonville FL. There are plenty more free wifi hotspots in Jacksonville. See all free wifi hotspots in Jacksonville Florida.